2. 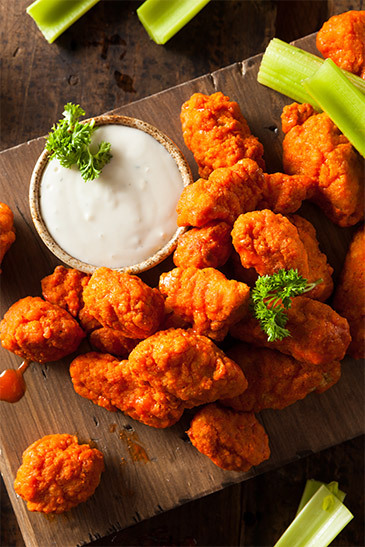 Fry wings for 10 to 15 minutes or wings turn golden brown. 3. Drain wings and set aside. 4. In a saucepan, melt butter over medium heat. When the butter starts to boil, add the white vinegar. 6. Add celery salt and the zest of 1 lemon. Mix and let heat for about 10 min. 7. Place wings in a medium bowl and pour the sauce over the wings. 8. Toss to coat and serve.